Work the next day, so of course Sunday 27th July was perhaps the best summer’s night I’ve ever seen from this location for imaging. O.K. so it’s headache day for Monday! Started imaging this one at around 11.00 p.m. and finished around 2.00 a.m. The Scutum star cloud stood out brightly against an already bright Milky Way – unbelievable! And as I finished imaging the Moon just started to pop up over my NE horizon – a perfect night’s imaging (very unusual!). 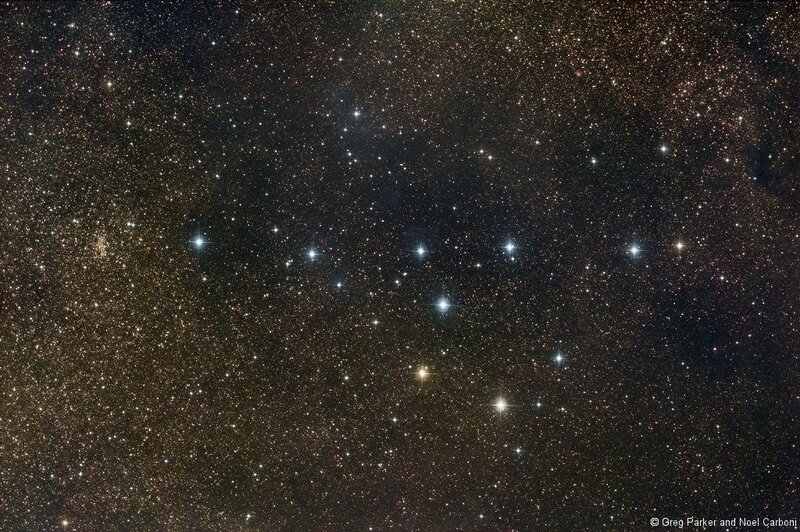 2 Responses to The Coathanger cluster and NGC 6802. Hi Greg: Very nice imaging with your new HS/C11. Your right, Dean is a great guy to work with. I use a new version of his HS and a C14 here in Cave Creek, AZ. I Have posted several images on Dean’s Hyperstar imaging site. Some are so so some are fairly nice. Still learning. You mentioned that you come to AZ for business. If you ever plan on traveling to Phoenix, give me a call and we can have lunch and trade HS war stories! Hi Bob! Thank you, glad you like the images 🙂 I will need to come back to Phoenix again, this time to learn how to drive the machine we bought from ASM. It’ll probably be late December 2008, or some time in January 2009. It would be great to meet up with you when I next come back – I just hope it isn’t as hot as it was when I was there in June this year!